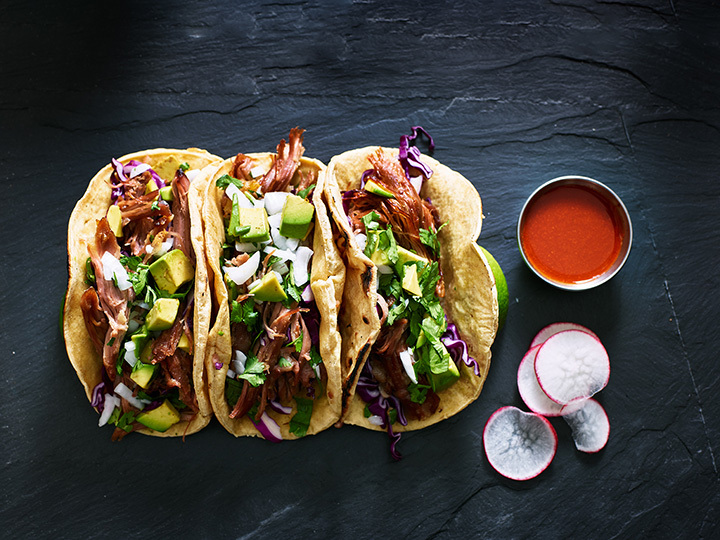 With a strong Mexican influence, California takes great pride in having the best tacos in the country. From the fish tacos and hybrid takes on tacos in San Diego to the taco trucks that roam the streets of Los Angeles to San Francisco’s Mission District, there’s a tortilla filled with something for everyone. Check out 10 of the best taco places in California. Rambo’s Tacos is a brightly-painted food truck that can be found parked between Glassel Park and Eagle Rock most nights of the week. Enjoyed by families, late night workers and college kids from nearby Oxy, Rambo’s has some of the best pastor anywhere. Tito’s Tacos is the ultimate crunchy taco destination. Not too far from LAX, Tito’s is a popular stop for families looking to dine on the cheap. It’s a taste of nostalgia as the crunchy tacos are something like the Taco Bell version mom might make at home. Petty Cash Taqueria elevates Mexican cuisine to new heights. Using a modern approach to mix tradition with updated flavors and techniques, Petty Cash uses local and organic ingredients to make tortillas and guacamole that can’t be missed. Like many fish restaurants, Bear Flag Fish Co. serves seafood in a variety of ways, including fish tacos that are super popular with the locals. Try them for Taco Tuesday, when the crunchy panko crusted tacos are only $2. The story goes that La Super-Rica Taqueria was Julia Child’s favorite stop for tacos when she was in town and the line for the tiny place hasn’t let up much since the cooking legend spilled the beans. The menu has expanded to include way more than just tacos, but they remain the favorite. Los Robles Café may not be what you’re expecting from a café in wine country, but the tacos are on point. Not too fancy and not too preppy, Los Robles Café is a perfect stop whether you need a snack or full meal to soak up the local wine. Sandbar Sports Grill has a huge selection of tequila to wash down your choice of tacos. Regularly voted some of the best tacos in the city, they also make appearances at local food festivals. Oscar’s Mexican Seafood offers up a surf n’ turf in a tortilla, so you can enjoy the best of land and sea tacos. There’s more than one way to enjoy your fish, whether you like it grilled, smoked or fried and there are also seafood versions and more combinations than your typical taco stand. King Taco is a small Los Angeles chain with locations in various neighborhoods. The fast service and low prices keep it popular as do the tacos. Enjoy a sweet pineapple drink with your choice of filling, ranging from asada to buche. In a city obsessed with fish tacos, Ricky’s Fish Tacos has the honor of being named as the best from multiple publications. The food truck has created a sort of cult following as it sells out of tacos on a semi-regular basis. Check out Twitter for current locations and event information to enjoy a taste of Baja in L.A.